Believe it or not, it’s time to start thinking about your 2016 ACA reporting as well as start making any changes needed to keep you compliant as we go into 2017! But not everything’s going to be just as it was last year this time around. Even before the results of the election all but guaranteed the Affordable Care Act would face some serious scrutiny and changes in the upcoming months, there were changes already in place for the 2016 filing year. And since we’re operating in a land where the ACA is still law, it’s up to us to help make sure you’re aware of these changes and are ready to file this coming January. -The Qualifying Offer Method Transition Relief, which was only available in 2015 for non-calendar year plans, is no longer available for the 2016 tax year. -The 4980H Transition Relief, which applied to employers who offered 70% of their full-time employees coverage, has been updated to only apply to employers who offered 95% of their full-time employees coverage in 2016. These transition relief changes may affect your answer on Form 1094-C, line 22. -Code 1I won’t be used anymore and codes 1J and 1K have been added to include more scenarios for line 14. -Code 2I won’t be able to be used anymore on line 16. Now for compliance. As you may have already picked up when we mentioned the 4980H Transition Relief, employers who were required to offer qualified coverage to 70% of their full-time employees in order to remain compliant in 2015 will need to up the ante: to 95% of their full-time employees. That is if you want to avoid that fine. And speaking of that fine, it’s going up too. The annual penalty amounts for 2016 Play or Pay mandate failures have increased to $3,240 for sledgehammer penalties and $2,160 for tack hammer penalties. The IRS isn't all mean, though: they're giving you an extra month to send out your employee/recipient copies of Form 1095-B or Form 1095-C. Initially, these forms were due out to your recipients by January 31, 2017, but now, they need to be mailed by March 2, 2017. 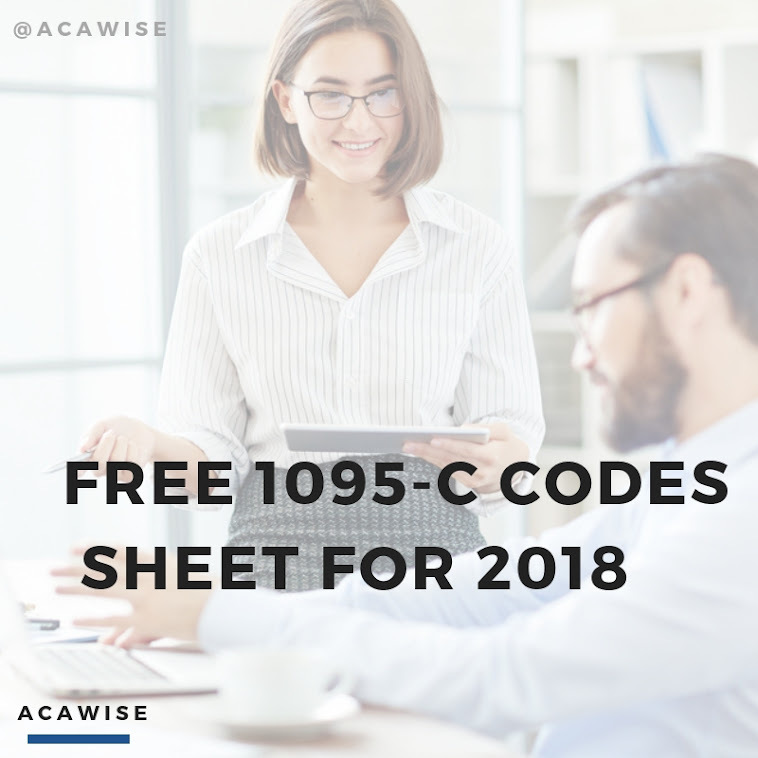 ACAwise is a unique ACA solution in that we’re built to handle the ACA changes as they come! Since everything is backed by our IRS business rules validation process, you can be sure your data and forms are as compliant as possible. To learn more, just visit our website (or) set up a free, live demo with one of our friendly support team experts!